TV BANTER . 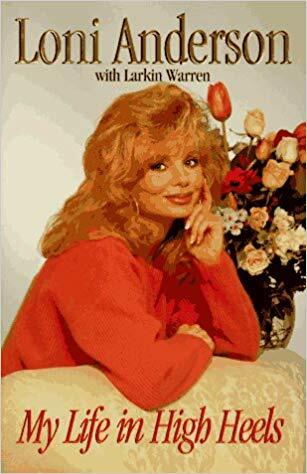 . . with Joanne Madden: Whatever happened to Loni Anderson? Whatever happened to Loni Anderson? Loni Anderson isn't exactly a natural blonde. For much of her early life, she was a brunette. However, despite her bleach-blonde hair, she is not stereotypically ditzy or dumb - far from it. Neither was her most well-known TV character, Jennifer Marlowe, on the CBS sitcom WKRP in Cincinnati. Loni played Jennifer from 1978 to 1982 and received three Golden Globe and two Emmy nominations for her role as the highly-skilled and witty receptionist.at a fictional radio station. "I was very much against Jennifer just being a blonde window dressing," Loni told Ryan Neal in an interview for RidiculouslyExtraordinary. "I know my character's intelligence is why Jennifer Marlow became such an iconic figure. No one was doing that. Glamorous blondes were not the smartest persons in the room. And the only blondes that were allowed to be funny before our show had to play dumb. That's why Jennifer was so innovative." Loni Kaye Anderson was born in St. Paul, Minnesota on August 5, 1946. Her mother, Maxine Hazel (née Kallin; 1924–1985), was a model. Her father, Klaydon Carl "Andy" Anderson was an environmental chemist. Loni was raised in suburban Roseville, Minnesota and attended Alexander Ramsey Senior High School there. She later studied at the University of Minnesota, where she obtained a degree in education. 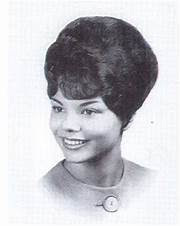 During her student days, Loni secretly entered beauty contests. She made her screen debut in an uncredited role as a brunette saloon girl in Nevada Smith, a 1966 Western, starring Steve McQueen. Anderson was married and divorced before the age of 21. While attending college, she was compelled to accept a position as a teacher in order to support herself and her baby daughter. However, acting was always in her blood. 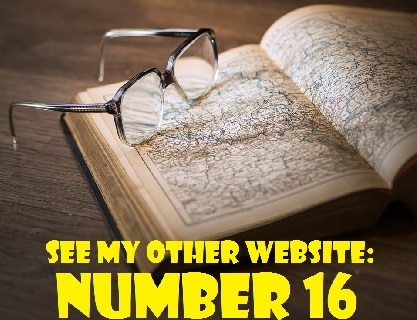 In the article by Ryan Neal for RidiculouslyExtraordianry, Loni is quoted as saying, "I did begin as a teacher but, to be honest, I did it for my parents. "I earned my teaching degree because they didn't think acting was a good profession to fall back on. I was a teenage mom and they thought I should have something more stable." Loni couldn't stay away from acting. She performed in Midwestern repertory theatre and television commercials before moving to Hollywood with her second husband in 1975. 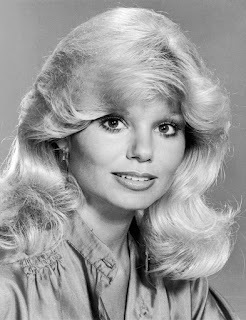 In the mid-1970s, Loni had numerous television roles. In 1975, she appeared in two episodes of the crime drama S.W.A.T. In one episode, "The Steel-Plated Security Blanket" (Season 1, Episode 9, Air Date: April 28, 1975), she portrayed Miss Texas. In "The Deadly Tide: Part 1" (Season 2, Episode 1, Air Date: September 13, 1975), she portrayed an art teacher. In 1975, Loni guest-starred in episodes of The Invisible Man, Harry O, Phyllis and Police Woman,. In 1976, she appeared on Police Story, Vigilante Force, Barnaby Jones and The McLean Stevenson Show. In 1977, she played Daroon in a television movie entitled The Magnificent Magical Magnet of Santa Mesa. She also appeared in an episode of The Bob Newhart Show. She finally go her big break in 1978 when she was cast as Jennifer Marlowe in the popular sitcom WKPR in Cincinnati. During the 1980 summer hiatus, Loni walked off the set of WKRP in Cincinnati due to a salary dispute. While she was re-negotiating her contract, she portrayed Jayne Mansfield in the CBS made-for-television movie The Jayne Mansfield Story. Her co-star was Arnold Schwarzenegger, who played Jayne's husband, bodybuilder Mickey Hargitay. The film aired on October 29, 1980. During the mid to late 1980s, Loni's acting career declined. For the most part, she appeared in television versions of Hollywood film classics such as Letter to Three Wives (1985), with Michele Lee and Sorry, Wrong Number (1989), alongside Patrick Macnee and Hal Holbrook and Coins in the Fountain (an update of the 1954 film Three Coins in the Fountain). However, she received positive reviews for her performance as comic actress Thelma Todd in the 1991 TV movie White Hot: The Mysterious Murder of Thelma Todd. In 1991, she also reprised her role as Jennefer Marlowe in two episodes of The New WKPR in Cincinnati. Loni joined the cast of the NBC sitcom Nurses in 1993, when it was in its third season. She portrayed hospital administrator Casey MacAffee. However, the show was experiencing low ratings, and was cancelled soon after her arrival. During the 1990s, Loni made guest appearances on such shows as Burke's Law (1994) Sabrina, the Teenage Witch (1997) Clueless (1998) and V.I.P. (1999). She also played the role of Teri Carson in three 1996 episodes of Melrose Place. From 2003 to 2004, Loni starred as as Mandi Mullet-Heidecker in 13 episodes of the short-lived series The Mullets. In 2006, she played the role of Kiki Spelling in eight episodes of So Notorious, a parody of the life of Tori Spelling. Since 2016, she has portrayed Frances in the Internet series My Sister is Gay, about a middle-aged gay man whose sister, Amanda (Wendy Michaels) is having difficulty dealing with her brother's homosexuality. Loni plays their vampy mother. Loni has been married four times and divorced three times. Her first husband was Bruce Hasselberg (from 1964 to 1966). 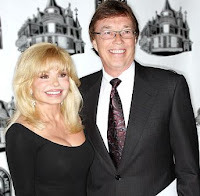 Her second husband was actor Ross Bickell (from 1973 to 1981). Her third husband was actor Burt Reynolds. Loni and Burt first met on the Merv Griffin Show in 1981 and they co-starred in the 1983 comedy film Stroker Ace, a box office flop..
On April 28, 1988, Burt and Loni wed in a top-secret ceremony at Burt's BR Horse Ranch in Jupiter, Florida. Their wedding made the cover of the May 16, 1988 issue of People magazine. Celebrities such as Ann-Margaret and Jim Nabors witnessed the 20-minute ceremony, while media helicopters hovered above the Florida Ranch. The marriage eventually soured. In June of 1993, Burt Reynolds' representative announced that Burt and Loni had split and that the marriage was "irretrievably broken," although Reynolds "had the highest regard and respect for Miss Anderson," It was further stated that Burt "feels his priorities and hers have become different." Their divorce was one of the nastiest ones in Hollywood and the tabloids had a field day. There were financial entanglements and allegations of cheating. He also accused her of being a bad mother to Quinton. In 1995, Loni claimed that Burt used to beat her. In a 2015 interview with People magazine, Burt expressed regret that he had married Loni. He said it was a "really dumb move on my part" and that he shouldn't have married an actress. "It wasn't lollipops and roses," he proclaimed. In his autobiography, But Enough About Me: A Memoir, Burt complained about Loni's shopping habits. In an interview with Entertainment Tonight (ET), he stated that his ex-wife spent money so lavishly that she could have driven Aristotle Onassis into bankruptcy. "I really couldn't afford her," he declared. Loni married her fourth husband, folk singer Bob Flick, on May 17. 2008. The couple wed at the Bel Air Hotel n Bel Air, California. Bob is a founding member of the 1960s folk group The Brothers Four. Loni first met him in Minneapolis in 1963 at the movie premiere of the Charlton Heston epic 55 Days at Peking. The Brothers Four had had a hit on the pop charts with the song "Greenfields." A local newspaper sent 17-year-old Loni out to pose with the group as a "lucky young fan." Loni Anderson has two children. 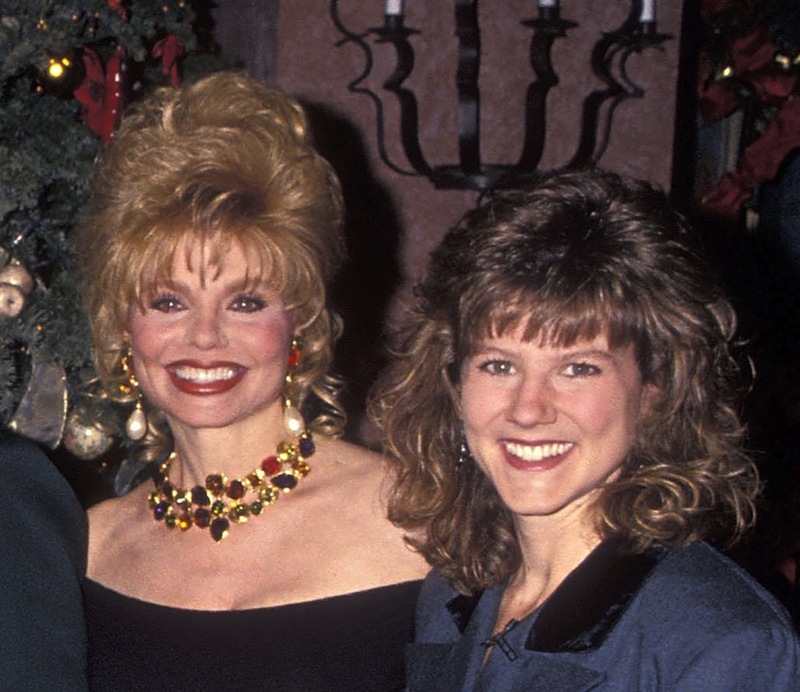 She has a daughter named Deidre (born 1965) from her marriage to Bruce Hasselberg and a son, Quinton Anderson Reynolds (born August 31, 1988), whom she and Burt Reynolds adopted. It was Quinton who walked his mother down the aisle when she married Bob Flick. Loni's daughter, Deidre Hoffman, was diagnosed with multiple sclerosis in 2009, causing Loni to take a break from acting. She left Hollywood so that she could help Deidre battle her debilitating disease. In an April 2018 interview with Dan Clarendon of Closer Weekly, Loni said that she fell apart. "I didn't want to fall apart in front of her because I knew she was struggling to maintain herself, but it was difficult to come to grips with," Loni told Clarendon. She stood beside her daughter, though, and steadfastly accompanied her daughter to "every MRI, every test." * Loni has a sister named Andrea Sams. * Loni's autobiography, My Life in High Heels, was published in 1995.